This species is very fascinating because of their "robbery of slaves". 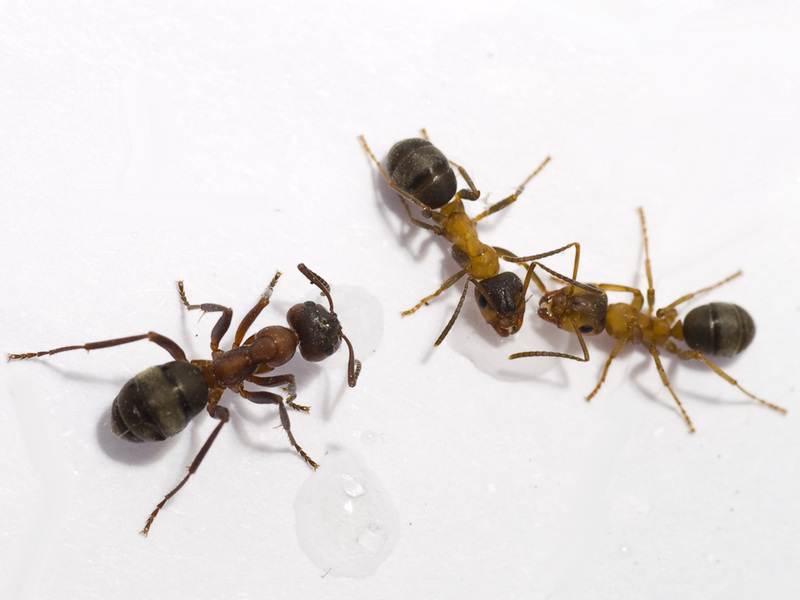 During the summer month they organize predatory attacks to the nests of their "helping ants" (Slaves) which provide for the inner household. It could be possible that the slaves also be integrate in the defence. 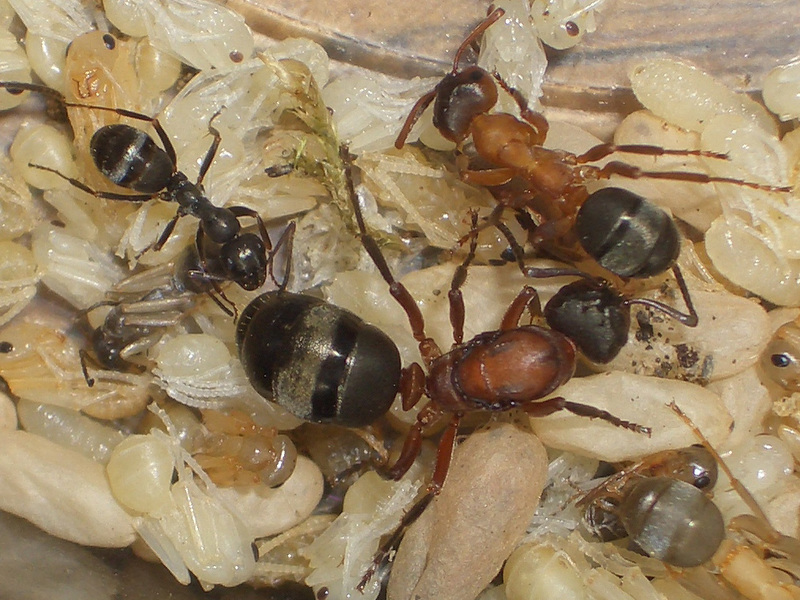 According to the slaves they build a species-typical nest for the robber-ants. Raptiformica sanguinea could as well live without slaves contrary to the "Slave-robbers" Polyergus rufescens (protected specie). Inside the Terrarium such a predatory attack can be produced artificially by giving them cocoons of the slave-ants. So it will be possible to control the amount of different slaves. 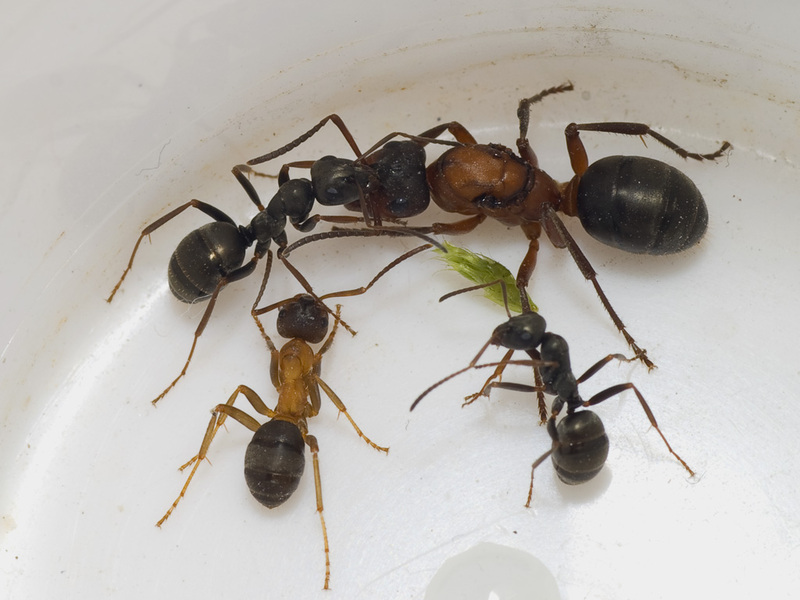 Formica (Raptiformica) sanguinea was added to the shopping cart. Formica (Raptiformica) sanguinea could not be added to the shopping cart.